Denka Big Swan Stadium, initially known as Niigata Stadium, was built to serve as a playing venue for the 2002 World Cup. Construction started in 1997, and almost 4 years later, on 29 April 2001, the stadium officially opened. 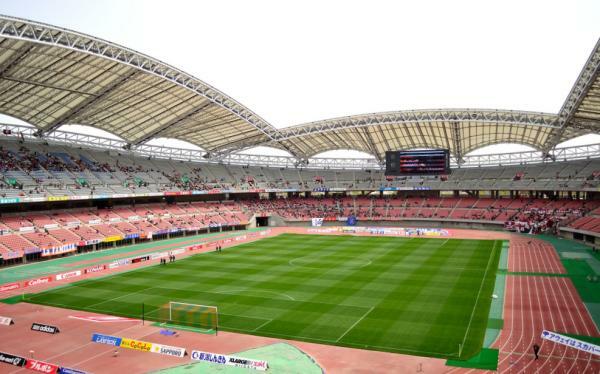 Niigata Stadium received the name Big Swan Stadium because its roof resembles the wings of a swan and because of the high prevalence of swans in the area around the stadium. During the 2002 World Cup, Niigata Big Swan Stadium hosted two group matches and the round of 16 match between Denmark and England (0-3). In 2007, the stadium was renamed Tohoku Denryoku Big Swan Stadium following a naming rights sponsorship deal, which changed to Denka Big Swan Stadium in 2013 following a new deal. Denka Big Swan Stadium is located on the southern edge of the city of Niigata, about 4 kilometres from Niigata Station and a few kilometres more from the city centre. 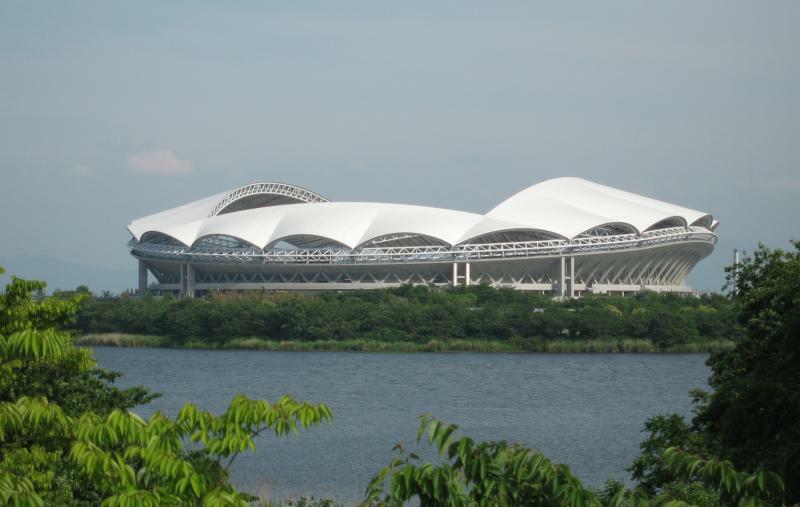 The stadium lies on the southern bank of the Toyano Lagoon, which separates it from the more urban parts of the city. Due to its somewhat remote location, there are few regular public transport options. Buses on the New Town line, Nigatashiminbyoin line, and Ohno line have occasional service from Niigata Station. Get off at stop Sports Koen. On matchdays, special shuttle buses run from the southern side of Niigata Station to the stadium. Buses run from 4 hours before kickoff. Tickets for Albirex Niigata games can be bought at the Lawson, Seven-Eleven and Family Mart convenience stores, or via the PIA ticket agents. Most of these stores also offer telephone or Internet booking options. Check the Albirex official website for the complete overview of options and telephone numbers. Tickets can also be bought at the stadium on the day of the match. 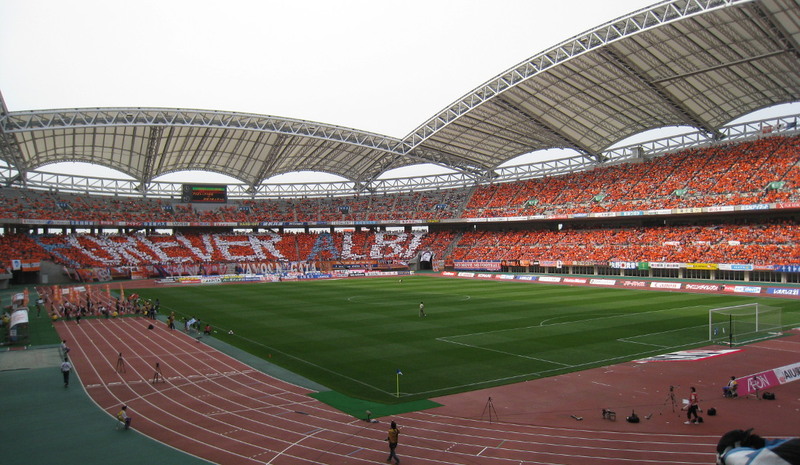 Albirex’s attendances are among the highest in the J-League, but few matches will sell out. Tickets for unreserved seating cost Y$2,100, whereas prices for reserved seats range from Y$3,100 to Y$4,100. Tickets are Y$500 more expensive if bought on the day. Big Swan Stadium offers guided stadium tours that include access to the dressing rooms and VIP areas. The tours last about 45 minutes. Tours run daily at 9:00 am, 11:00 am, 1:30 pm, and 3:00 pm. In the winter months this is reduced to twice a day at 11:00 am and 1:30 pm. There are no tours on matchdays or when events are held at the stadium. Reservations are not required. For more information call +81 25 287 88 11. Albirex.co.jp – Official website of Albirex Niigata. Tohokuden-bigswan.com – Official website of the Tohoku Denryoku Big Swan Stadium. Enjoyniigata.com – Official travel guide for the Niigata area. Bus.niigata-inet.or.jp – Niigata public transport information.